Two floors, sixteen rooms, each its own realm. 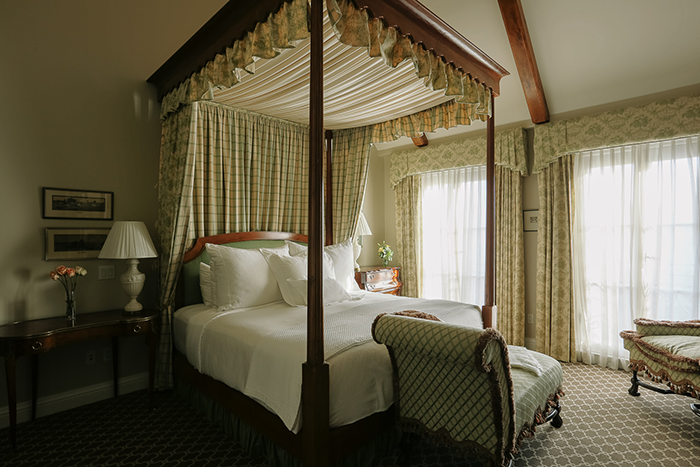 Decorated in warm beige tones, Estate King rooms are 425 square feet and handicap accessible. 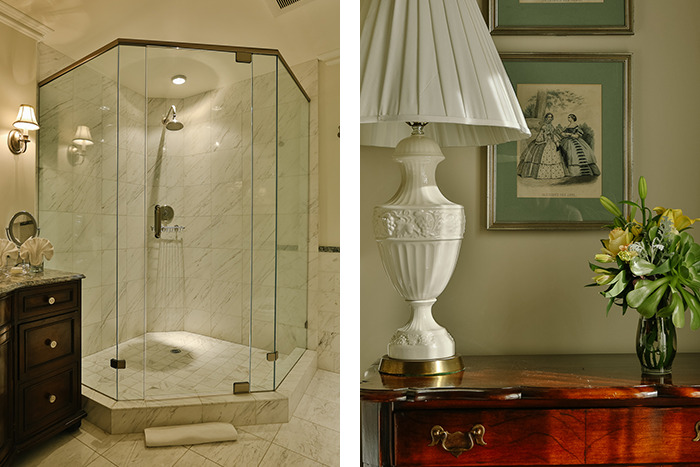 Each features a luxurious king-size bed, fine Italian linens, sitting area with distinctive gas fireplace, an antique Louis XV armoire, original works of art and an en-suite bathroom with marble sink, bidet and walk-in shower. Additionally, 3rd-floor rooms offer 20-foot-high beamed ceilings. 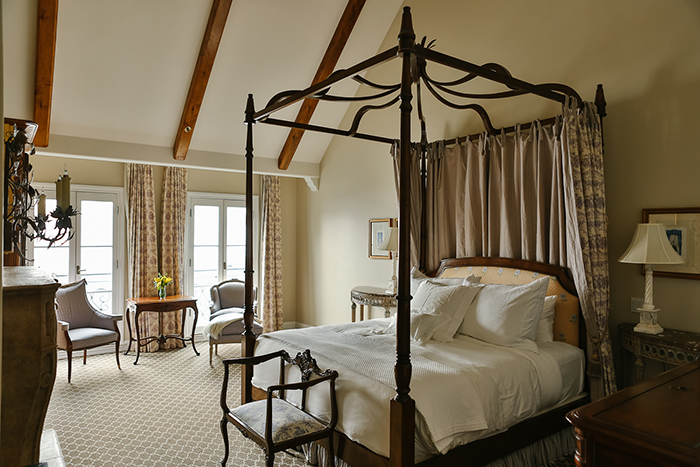 These 425 square foot guest rooms boast Parisian decor with warm earth tones and soft beiges. 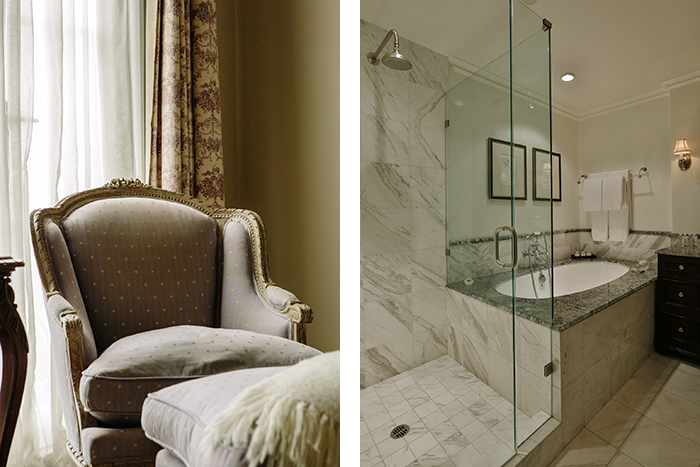 Each Salon King features a luxurious king-size bed, fine Italian linens, sitting area with distinctive gas fireplace, antique hand-crafted mahogany furniture, original works of art and an en-suite bathroom with marble vanity sink, bidet, marble shower and hydrotherapy tub. Additionally, 3rd-floor rooms offer 20-foot-high beamed ceilings. 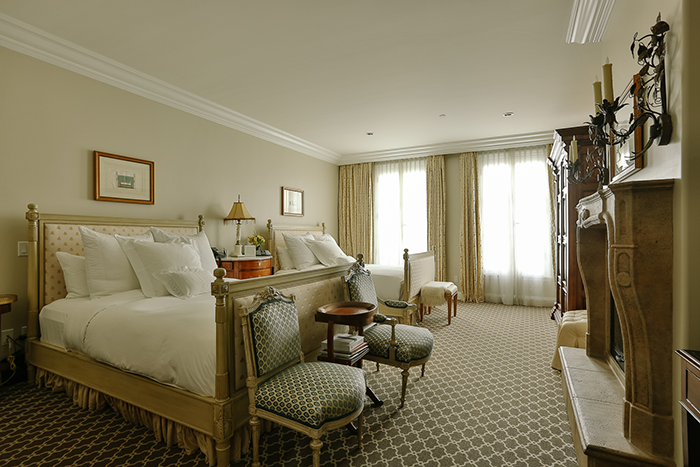 Our 500 square foot Mansion Queen rooms offer Parisian decor in gold and cream. 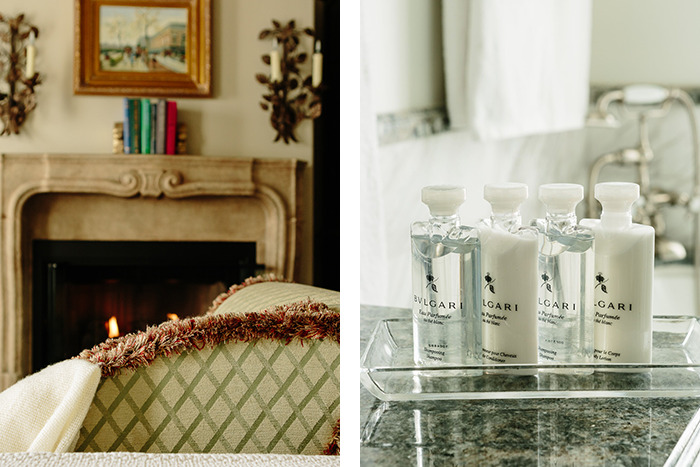 Each features 2 hand-carved queen-size beds, fine Italian linens, sitting area with distinctive gas fireplace, antique hand-crafted mahogany furniture, writing desk, original works of art and an en-suite bathroom with bidet, marble vanity sink, marble shower and hydrotherapy tub. Additionally, 3rd-floor rooms offer 20-foot-high beamed ceilings. 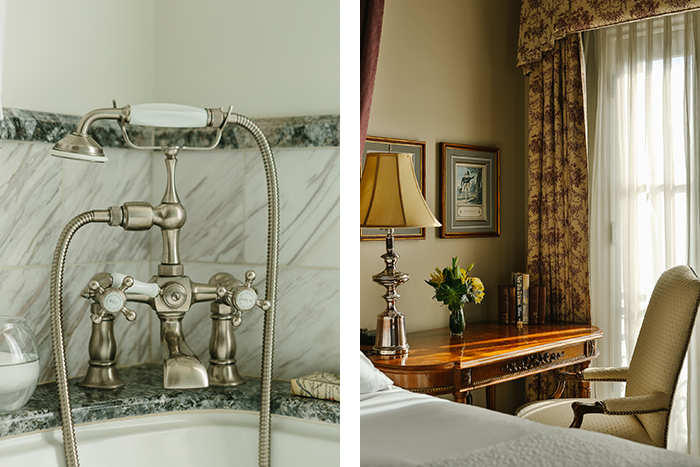 Mansion King rooms offer 500 square feet of luxurious space and are decorated in a Parisian decor of warm earth tones and soft beiges. 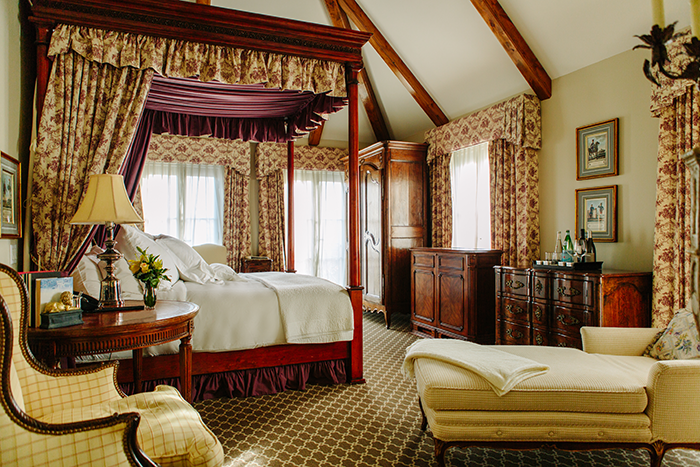 Each features a four-poster king-size canopy bed, fine Italian linens, sitting area with distinctive gas fireplace, chaise lounge, antique hand-crafted mahogany furniture, writing desk, original works of art and an en-suite bathroom with bidet, marble sink, marble shower and hydrotherapy jet soaking tub. Additionally, 3rd-floor rooms offer 20-foot-high beamed ceilings. 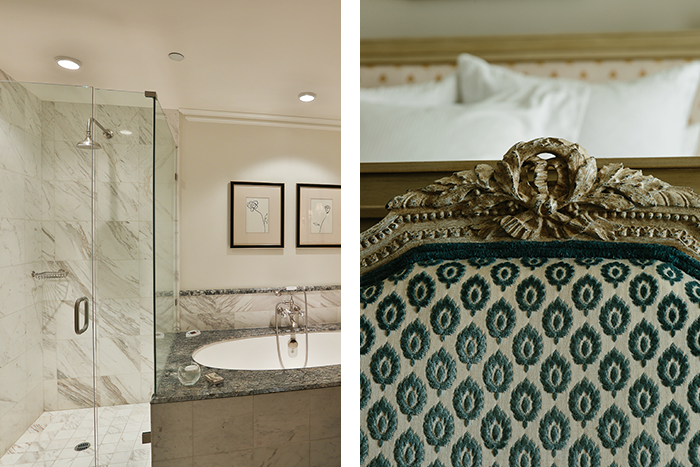 Grand King rooms offer 550 square feet of luxurious space and are decorated in a Parisian decor of warm earth tones and soft beiges. 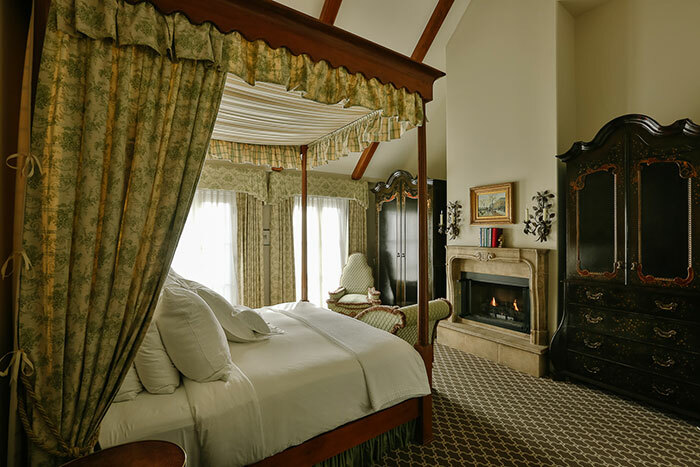 Each features a four-poster king-size canopy bed, fine Italian linens, sitting area with distinctive gas fireplace, chaise lounge, antique hand-crafted mahogany furniture, writing desk, original works of art and an en-suite bathroom, marble sink, marble shower and hydrotherapy jet soaking tub. Additionally, 3rd-floor rooms offer 20-foot-high beamed ceilings.